Take the worry out of your wedding planning. With a wedding website, it's all a piece of cake. Building your wedding website will be a walk in the park. Upload pictures, describe your love story and add a map with the wedding location to make sure your guests won't get lost. All of that in just a few clicks! Your wedding will be unforgettable and so should be your website. 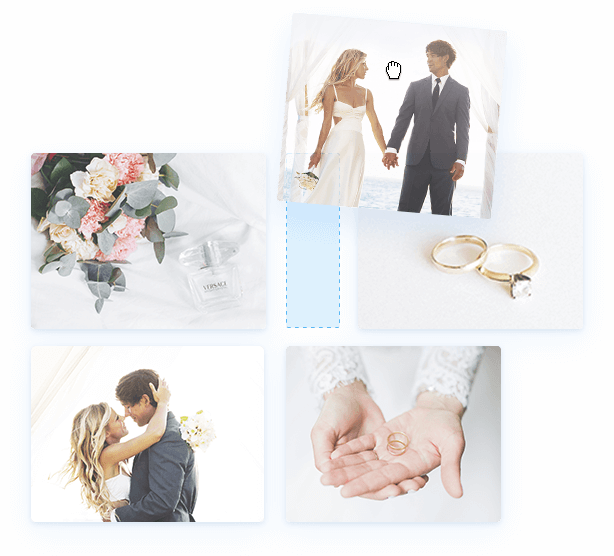 Pick a design to match your wedding theme and get inspired by our prepared content. Be prepared for any situation. 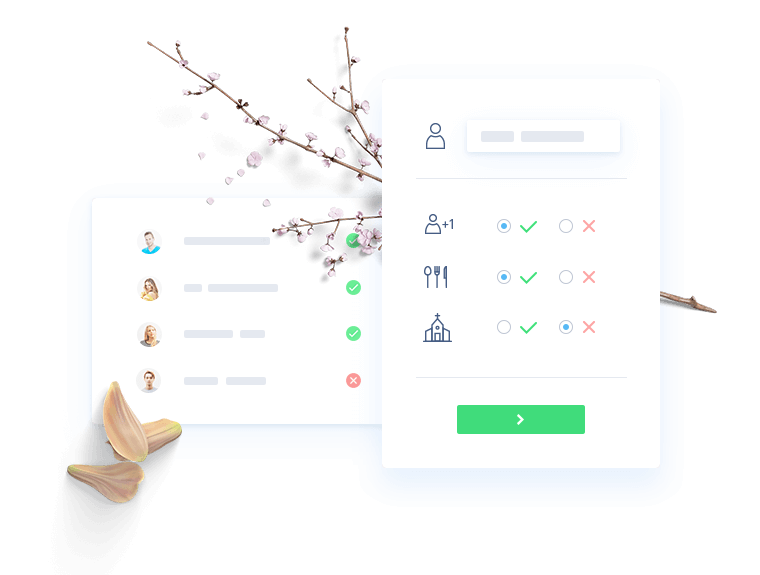 With just a simple form you can manage your RSVPs, find out who's going to bring a plus one, see if they need an accomodation or let your guests pick their wedding menu. Keep using your wedding website even after the big day. Share beautiful photos and videos from the ceremony with your guests and relive those magical moments. Don't want to share your memories and photos with just anyone online? Activate the Member Login function and make sure only family and friends can see them.